The above quote from John Updike wittily summarises why golf can elicit such extreme reactions from people. Indeed, for many sane-minded human beings, the idea of having to endure a round of golf – in person or on TV – is almost equivalent to self-harming. Dragging a heavy bag of clubs around an over-manicured lawn with middle-management goons dressed like pimps. Or else accidentally switching channels and finding the screen mesmerised by personality-free millionaires whacking barely perceptible balls through rain-soaked masses, huddled like damp proof membranes clotting up the fairway. However, for the many golf devotees it is a democratising pastime for which you don’t need to be an athletic superhuman to take part. Golf offers the opportunity for skilful and genteel competition without the need for aggression or brute force. Golf also allows for leisurely strolls around vast stretches of dog poo free nature. Indeed, many minds, great and small, have applied themselves to a round of golf. Ben Hogan was a legendary golfer whose career was suddenly cut short when his car crashed into a Greyhound bus in 1949. Hogan broke his collarbone, pelvis and ankle and his doctors doubted that he would ever walk again. Yet, Hogan’s love of golf motivated him to power through his pain and physiotherapy. So successful was his recovery that he went on to win the 1950 US Open. In 2011, golfing amateur Chris Evans won the Celebrity Alfred Dunhill Links Championship with professional partner Nick Dougherty. Evans managed to triumph over other celebrity golf-enthusiasts including Samuel L. Jackson, Hugh Grant and Michael Douglas. However, in 2012, on the verge of returning to defend his title Evans found himself “banned for life”. It seems that the organisers had come to suspect that he had under-sold his ability in order to earn a higher handicap (i.e. the number of shots he can subtract from his actual score). Evans has even joked that he is considering setting up his own alternative golfing tournament which he may call the “Dung Hill Cup”. After cutting up a fellow driver in traffic one afternoon, Robert Blank was shocked to see a familiar figure racing toward him in his rear-view mirror – Jack Nicholson. Whilst many of us may welcome the approach of that devilish grin or arched eyebrows, most of us would probably be more concerned if Jack was in full Shining mode and brandishing a two iron golf club! Nicholson then attacked the roof and windshield of Blank’s car. Afterwards, Nicholson was duly apologetic and wrote Blank a cheque for $500,000. Indeed, Nicholson has described it as a “shameful incident”. Nonetheless, in recent years he has admitted that in the moment he had enough presence of mind to select a club that he rarely used on the golf course. Yale physics professor Bob Grober has dedicated his research to the physics of the perfect putt. He has found that if one imagines the trajectories of numerous imaginary golfers, equidistant to you from the hole, these criss-crossing trajectories tend to form a diamond shape just beyond the hole. It is this imaginary shape that the putter should be aiming for and not the hole itself. Alternatively, modern physics has developed a hypothesis called “M-Theory”, in which the “M” stands for “membrane”. This branch of theoretical physics attempts to build on superstring theory. M-theory suggests that instead of minuscule one-dimensional vibrating superstrings being the fundamental building blocks of the universe it is actually two-dimensional membranes. This school suggests that there are in fact 11 dimensions created by the ability of the membrane to fold, to open and close. At this point, science begins to sound like science fiction with both reality and fantasy leaking a little onto each other’s damp proof membranes. Nonetheless, if you miss your putt in this universe you can console yourself by knowing that you will have sunk it in one of the other universes. Emily Starr is a blogger who socialises with golf enthusiast who often tell her that damp proof membranes are vital to the game of golf as rising moisture can really affect a player’s game. If you’re just getting started with golf, you need to spend time on the course to get your handicap down. But for those times when you’re at work and you just can’t be on the course. Watching golf instruction videos can be helpful and might give you some pointers for the next time that you hit the course. We’ve found 2 great videos worth watching…. Question by 64′ Gravissima: Why are golf irons indifferent on distances? I am a golf beginner, 14 years old. I was practicing with an 8-iron club (in the driving range) with an average distance of 75 yards. Then I switched to a 2-iron club with an average distance of (surprise) 80 yards. Why is this, isn’t the 2-iron supposed to drive the ball a further 100 yards? If you hit an 8 Iron it will go higher than the flight of a 2 Iron,are you hitting both clubs with the same strength? have you had any lessons from a golf pro? if you have not then before you get into bad habits, with swing ,stance etc go to a golf pro at the driving range and get a couple of lessons. All the best keep the golf up. We suggest getting some tips from a golf pro. This might not mean going for lessons if your budget doesn’t allow. But try visiting a couple of golf shops and chatting to the reps there. Most of them play off a scratch handicap and will be happy to give you some tips to get you improving your golf game. Question by Lee: What are the good brands selling golf equipments? I am thinking of starting golf course for beginners. I want to buy some golf equipments. What are the good brands selling golf equipments at cheap prices? Rather rent equipment before buying so that you can get the feel of different clubs. Also, if you decide that you are not interested in continuing the sport then you will not have wasted too much money. Also, consider checking on ebay, there are often some great deals on golf clubs! 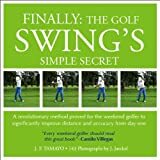 a) The Golf Swing is very difficult to understand and to perform. b) The average weekend golfer would love to improve but doesn´t have the time or the interest to spend long hours practicing. All IZZO products come with a 1 year manufacturer warranty that includes defects and workmanship. Attentions Golfer’s: sharpen your skills with the ultimate folding chipping basket This collapsible chipping net goes from a 23″ diameter frame into a 7 ” diameter. It features 3 chipping baskets for the ultimate challenge, and it is great practice tool for any golfer at any level. Have you got any other suggestions for working on your chipping game at home? Ooh, some golfing skinner, what is going one with Tiger Woods and Rory McIlroy? Tiger Woods and Rory McIlroy missed the cut in Abu Dhabi, and Phil Mickelson finished far back at the Humana. Where do they go from here? Our roundtable breaks down Rory and Tiger’s rough week in Abu Dhabi, looks ahead to Torrey Pines and more.